Polyethylene (PE) piping is made from a distinct type of plastic introduced way back in the 1930s. It has skyrocketed in popularity thanks to its many qualities which include its affordability, flexibility, and being lightweight as opposed to metal pipe. Because of the material, PE piping is also significantly easier to manufacture, transport, and install. 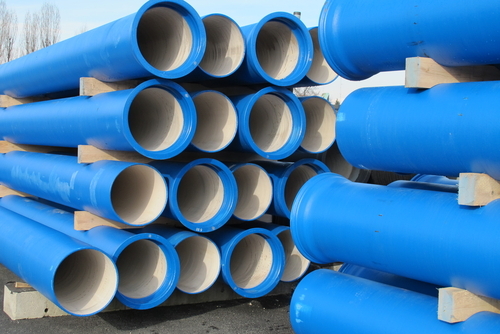 Low density became the first type of PE pipe available when it emerged in the 1930s. Today, it remains the most common and is frequently used in everything from toys to bottles, plastic bags, and more. In the 1950s, a more powerful solution emerged: high density polyethylene. This newer solution provided better durability and compactness, capable of withstanding greater pressure and the transport of corrosives and liquids. This pipe would eventually be usurped by the even stronger cross-linked polyethylene which provides incredible durability. It is used in a number of applications including water piping, cable insulation, and much more. Compared to copper or PVC, PE pipe is not only lighter and less expensive, it can be highly advantageous in residential applications for a number of reasons, including the fact that it doesn’t require elbow joints.